Lighting designer Rob Sinclair is using a Jands Vista system running the new Vista v2 software for the current highly acclaimed Pulp reunion tour, which sees the darlings of Britpop return in their glorious original “Different Class” line up from 1995. 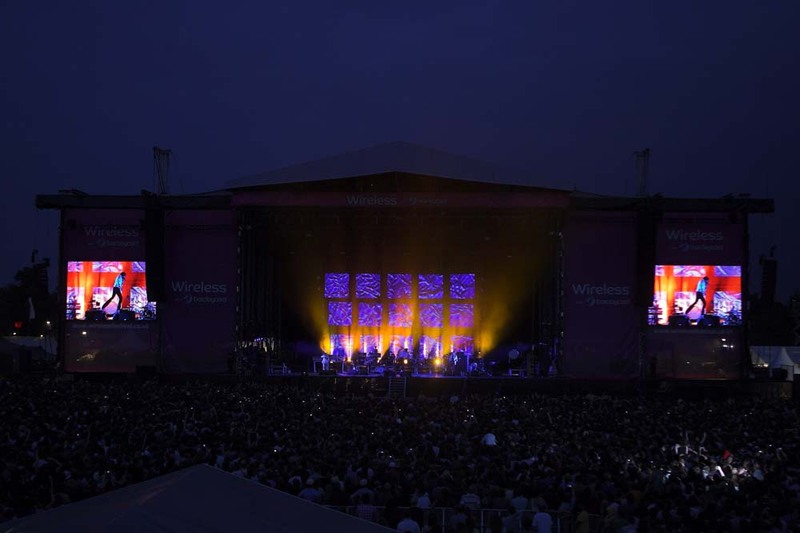 So far, the European leg of the tour has seen the band play a string of high profile festival slots including the Isle of Wight Festival and headlining Sunday at the Wireless Festival in Hyde Park, London – with future UK summer dates including T in The Park and Reading / Leeds Festival – as well as a host of other European dates. 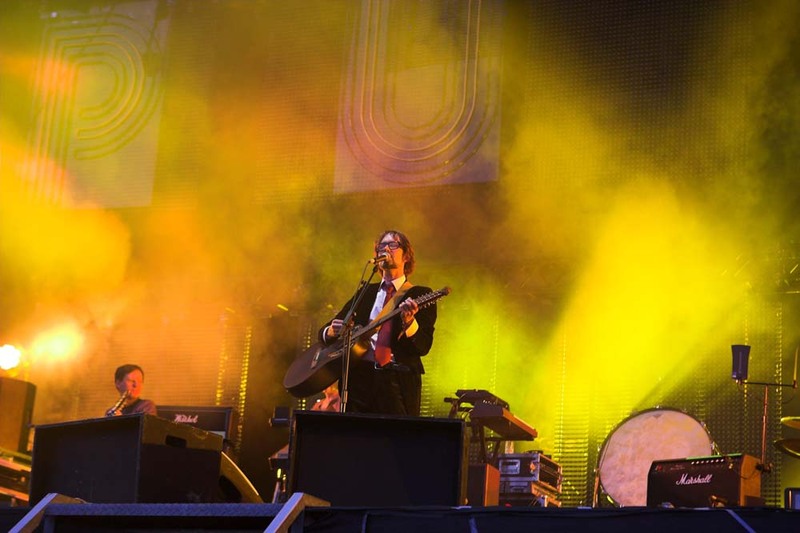 Pulp has always retained an art-house cult following, but there’s been an incredible reaction and real buzz about the band’s reunion. The shows are all packed and it’s become a “must see” event as fans old and new clamour to enjoy their stylish poppy mix of everyday life, art, dreams, subversion and phobias. Rob is a long term fan of the Vista platform. He purchased his first Vista S1 control surface in 2008 shortly after the model‘s launch, and now owns three identical systems – comprising of a laptop running the Vista software, with a Vista S1 and two Vista M1 wings – to service his own shows. Currently the other two are busy touring the US with chart topping Adele (operated by Jon Barker) and the legendary Peter Gabriel (operated by Steve Kellaway). For Pulp, there was never really a question of Rob using any other console. 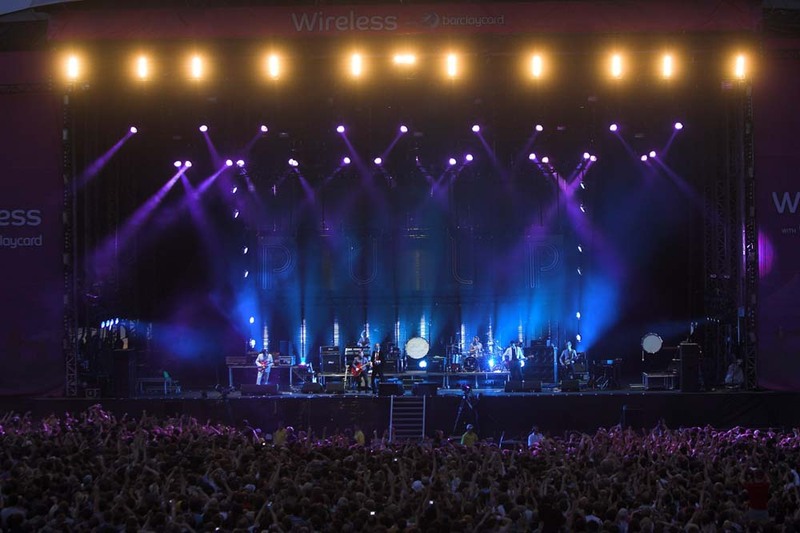 The band are touring their own video system and a small lighting rig, then each day hooking in to the locally provided rigs – all of which is controlled by the Vista. For the festivals, a small floor based ‘specials package’ is added and run through the desk. He thinks that Vista v2 has made great improvements in the way the control system interacts and deals with media servers, which is becoming more important as video is an integral element to his visual designs. One of the many things he likes about the Vista operating system generally is the fact that it makes achieving straightforward things very easy, without taking away the ability to also engage in complex programming. The interface makes it intuitive to see what you are doing during programming, so editing is very quick. Rob also comments that Jands are very helpful, quick and responsive to his needs and requests, really listening to what he and other users are trying to achieve. 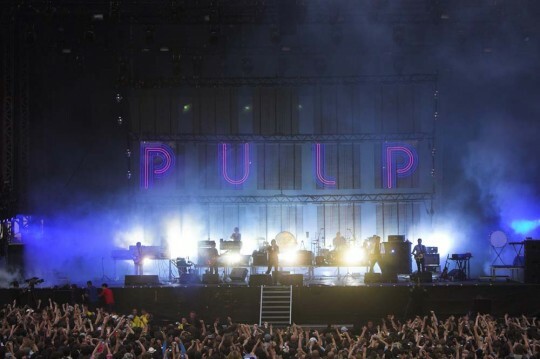 Pulp’s video set up consists of 15 two metre square Pixled F40 LED panels supplied by XL Video. These are arranged in five columns / three rows, set at different depths to avoid the clichéd ‘back wall’ scenario and introduce a bit of dimension to the stage space. 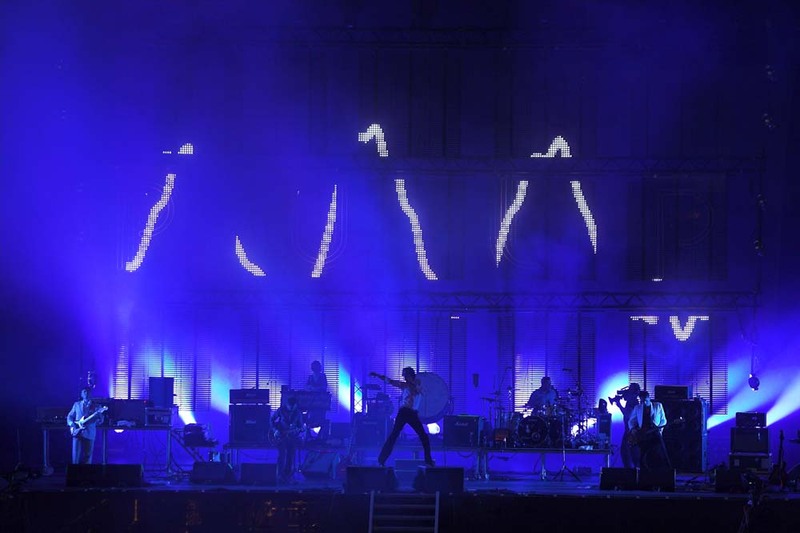 The band and Rob were keen that the audience didn’t feel like they were looking at a TV! Special video content – an eclectic mix of archives, vintage footage and completely new material created by three video artists – for the show is stored on a Catalyst media server which also takes in a couple of IMAG camera inputs. The local lighting system and the Catalyst are triggered by the Vista, which also runs the touring lighting system – supplied by Neg Earth – plus a fabulous classic Pulp ‘neon’ LED sign made by Specialz and the set, a 1970s style Dimplex electric fire with false flames. 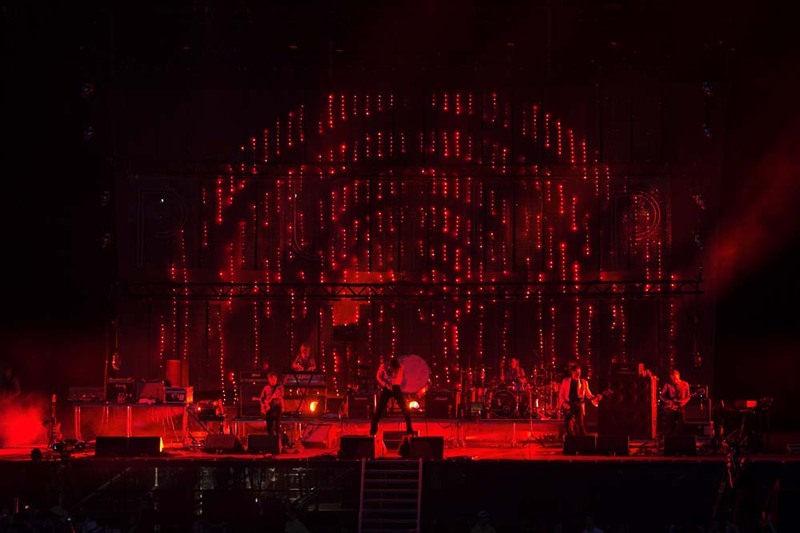 Rob’s objective was to make it as easy as possible to deal with the diversity of shows, venues and lighting rigs that he would have to contend with and to replicate their show as closely as possible each time with whatever was thrown at him. He loves the adaptability offered by the Vista‘s generic fixture model, which allows fast, accurate changing of fixture types without affecting the contents of the show. As more types of technology get used, the ability to deal with them becomes more important. Using a console as small, portable and freight-able as the Vista S1 ensures that Rob can use his own desk on every show, wherever he is in the world. Vista v2 was designed from the ground up to allow all levels of user get the most from whatever mix of technology they have available, whether dimmers, moving lights, LED, or media. With the simplicity to work fast, and the power to control the finest details, Vista v2 lets the user focus on creating a great looking show rather than on programming a desk. “It‘s powerful, flexible, highly practical and enables me to create the moods and feel that I want onstage – which is what is most important to me,” he concludes.